P. Frank Freeman was born in Beaumont, Texas but raised in Rochester, New York. He graduated from the art and graphic design department of Cass Technical High School in Detroit, Michigan. He studied engineering and topographic drawing at the Detroit Institute of Technology and at the Lawrence Institute of Technology and continued his studies at the Academie Julian in Paris. P. Frank served on active duty in the US Army during World War II in England, France, Belgium, and Holland. 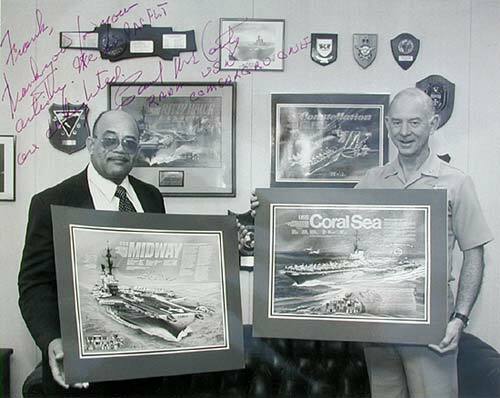 A few of his accomplishments included designing obstacle courses at Aberdeen Proving Ground, Maryland; Graphic Art Director for the United States Army in Europe; graphic artist for General Dynamics/Convair and Ryan Corporation; and consultant art director for many different national organizations. He was also a graphic art instructor for San Diego City College. At General Dynamics he served as an Engineer Illustrator, illustrating and designing contract proposals and numerous other publications to support the company’s endeavors. One of his most memorable projects was a proposal for the interior design of President Kennedy’s airplane. Mr. Freeman served as a consultant for the Ryan Aircraft Corporation, organizing their Zero Defects Program and Ryan Builds Better. His immediate boss was Jerry Ryan, son of T. Claude Ryan, builder of the “Spirit of St. Louis,” the plane that Charles Lindbergh flew non-stop from across the Atlantic Ocean to Paris. He also worked for Equity Funding Corporation, earning his Financial Consultant credentials. Equity Funding was the darling of the financial industry in the mid 1960s to early 1970s. However, its dubious financial practices turned it into the “Enron” of the era. After the Equity Funding debacle, P. Frank set up his own graphic art company, consulting for organizations such as National Steel and Ship Building, Stromberg Carlson, and Maxell Laboratories. His logo design for “Rise”, the high-rise scaffolding company, won a national competition. One of his greatest accomplishments was being the designer and creator of A Powerful Force For Freedom, his series of lithographs depicting US Navy Carriers in action. Walking by a Navy Recruiting Office in San Diego gave him the idea to develop aircraft carrier posters, the first of which was the USS Ranger. These lithographs not only adorned the walls of private homes, but copies could also be found in the White House and the Pentagon, as well as Naval Recruiting Stations around the country.